With a change in goals, comes a need for more voices! Massive overhauls have been enacted since the project was first launched. SAKURA is a massive Naruto themed project that mainly focuses on telling it's stories any way it can. While mostly focusing as a Audio Drama [as the main series], from time to time there may also be animations or animatics as well. 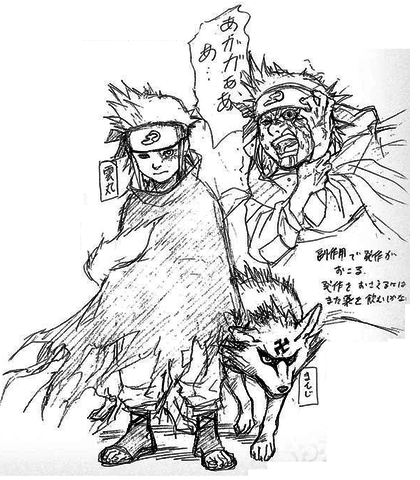 One of the largest (if not the largest) projects within the project is an audio drama retelling and reimagining the series of Naruto with it's original grit intact. 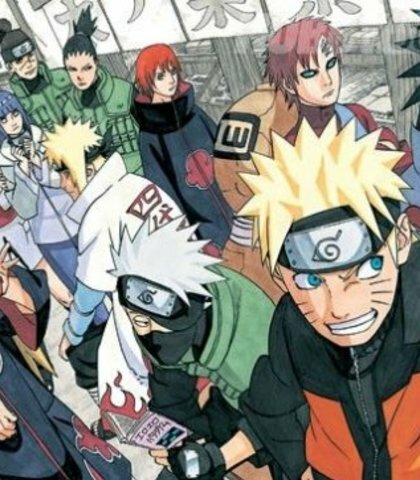 Within it, Team Seven grow in a world as the tools known as shinobi and learn the true meaning of what it means to be a ninja. It's to start with part 1 and continue until the very end of Shippuuden. Decent quality microphones prefered. Project emphasizes on acting more than voice, so there's no need to copy a certain voice! Any suggestions are simply preferences. EXTRAS ARE TO BE CAST 9/30th OR EARLIER! Medium voice. Soft or airy, most of the time. A mysterious ninja with mysterious intentions that comes in later to take up an important, yet empty spot. 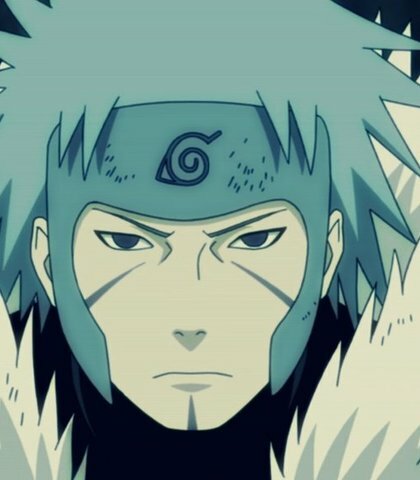 Due to his past, he is completely mystified by human emotions but after being placed in the ever dysfunctional Team Seven, he not only rediscovers his humanity but finds himself in the thick of turbulent times. The manual said that the first way to appeal to someone is with a smiling face. I've practiced but I'm still unable to make this facial expression. I only became part of your team recently when I replaced him, so I don't know everything that's going on. I don't really understand people either. But even I can tell that Naruto really loves you. Naruto's been shouldering that promise for a long time...I think he means to shoulder it for the rest of his life. I don't know what you said to him, but it's just like what's been done to me - it feels like a curse. That man causes Naruto pain, but I think you do too. [laughing loudly and then slowly stops] Wait, you didn't get my joke? 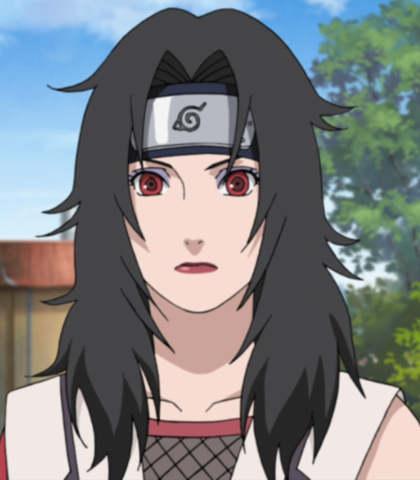 [Musing] I see...so the Uchiha clan wishes to return to the center of the village? [Serious] So they've finally done it...this isn't good. Casual, lax, and aloof when calm but able to become serious when need be. [Thinking aloud] Hmm...my first impression of you three... [cheerfully] I hate you all. [Casual] I'm Hatake Kakashi. Things I like and things I hate? I don't feel like telling you that. My dreams for the future? Never really thought about that. As for my hobbies... I hve lots of hobbies. [Solemn/grim] I've been around longer than you have, kid. And I've seen my share of troubles. You're not the only one who knows what it's like to lose somebody. It looks like neither of us has led a charming life, have we? Still, it's not that bad. At least you and I have been lucky enough to find new comrades to help fill the void. Because of your loss, you should understand. Casual tone. Very kind. 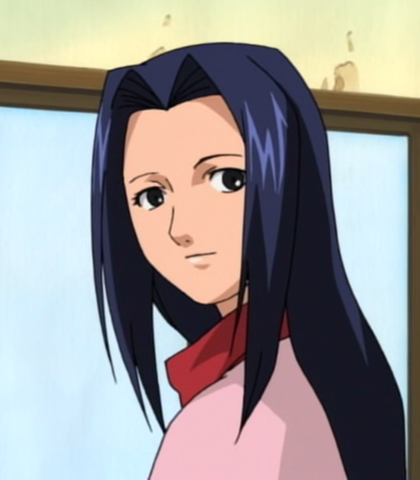 This character is considered to be a young adult who is mildly inexperienced as a ninja. Thanks so much for helping me back there! I belong to a special group of shinobi. The name of the organization, I cannot say. He's not a very smart boy, is he? Pretty short, too...are you sure he's a genin? Low, soft, gravely voice. 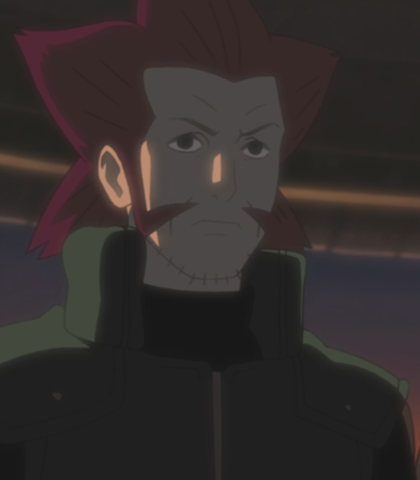 This character has viseral screams, particularly in the beginning of his appearance. To kill is my sole purpose. The blood of my enemies mingles with the endless sand flowing into the monster within me. This makes me stronger, for I am Gaara of the sand. Must be able to SCREAM and change between gentle and monsterous at the drop of a hat. This aptly describes the character, an unstable person who has found hope of stability in the legacy of his dead friend. However, because this soft spoken person becomes a bloodthirsty killing machine uncontrollably, he curses his existence. [softly] Kimimaro said Sasuke was like his reincarnation... and sacrificed himself to protect him. 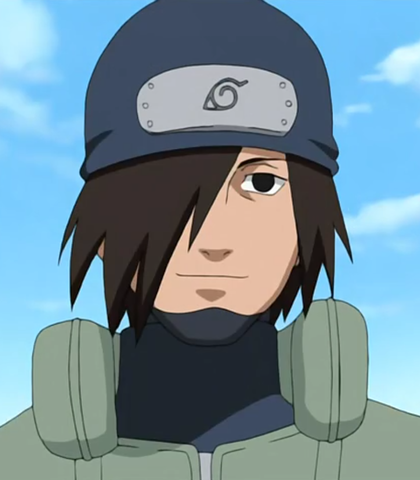 [determined] I want to see what kind of shinobi you really are. Someone’s here…boy or girl? A guy… [descending into madness] if it’s a guy...I’ll kill him. [pause screaming] JACKPOT! YOU'RE DEAD! [warning] You're being reckless, Suigetsu. Very casual. Medium high range. [screaming] I AM NOT FAT! I'M PLEASANTLY PLUMP! Huh? 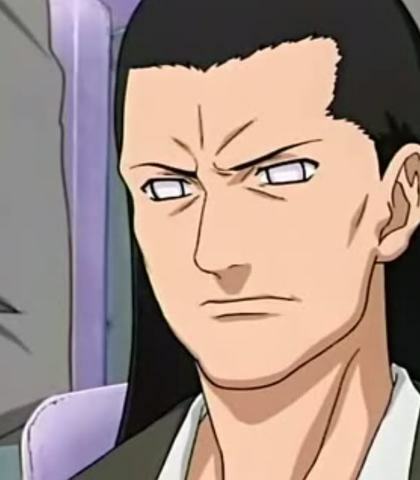 What are you talking about Shikamaru? Ino's gone way bonkers! Didn't you see what she did?! [defensive] Hey, they're barbecue flavored! Nothing wrong with a little light snacking before practice. medium high to high range. If I were you, I'd go back where you came from! Hey! A hero's always got to make a last second entrance, right?! Inari, say hello to these people. These are the ninja that protected grandpa. [desperate] I'll do whatever you say! Just don't hurt Inari! 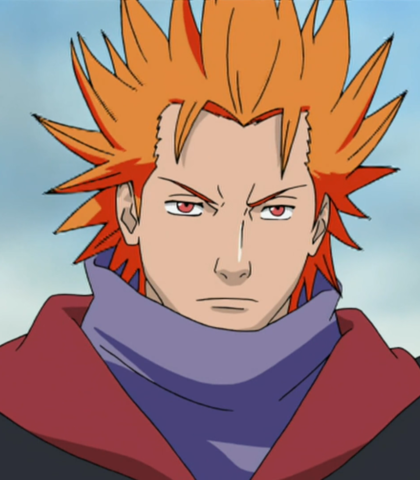 This child was the original version of Gaara (who will still appear in their own right). I will be using them within the series as well. This is an elite ninja of seven years. Thus, they sound calmly confident but still have great emotional range when indicated. Follow me. The road to the village is a dangerous one, so allow me to take the lead. 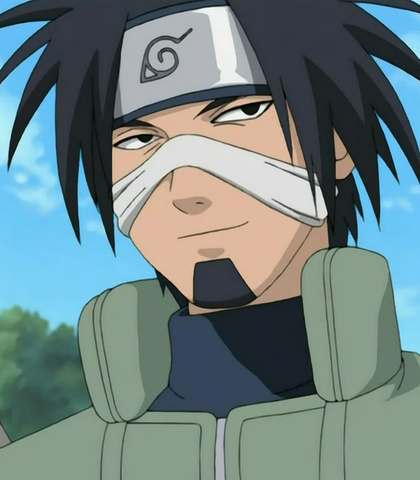 [calmly] Kakashi Hatake, age twenty-five. Shinobi of the Hidden Leaf. S-Rank Jonin. 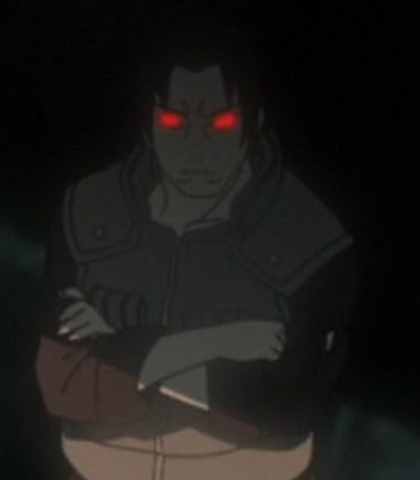 One of the last posessors of the feared Sharingan eye. I've seen you in my village's bingo book. A worthy opponent for me and my partner. [Serious] You have NO idea what I've been through...what I've done...[screaming] My parents are dead! My village hates me! No one will ever know my pain! I'm not a kid, I'm a monster! Don't you get that?! Don't ever ask for whom the bell tolls, because it tolls for thee. Sacrifice is an inveitable part of missions. Didn't you receive emotion training? [mocking] Let's see if you can do this without CRYING this time! 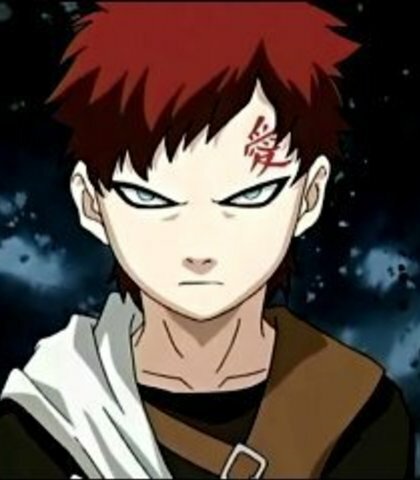 [Afraid, panicking] Gaara, that's enough! Stop! These roles are incredibly important and so a range of voices is prefered. Please use a diffferent voice per line. [Laughing hysterically] You...you must be joking! A half pint like you could never make a difference in this town! Go on...get out of here! You're useless. [Angry] You've all caused nothing but trouble since you've arrived! Get out of the way or die by my blade! This character is a singer [a bard, within the program], and their role is fairly important but will likely have a limited run. [hopeful] So you'll help me?! [cheerful] Wonderful! If this goes off without a hitch, then the raikage will be sure to love and we'll finally be able to afford to eat within the village! [serious] We may not be ninjas...but even we know when we have to stand and fight! Old and rough voice. A respectable voice that is also menacing. That Old man was always afraid of getting into disputes and having discussions. You are the leaves bathing in the sun. I am the roots that grow in the dark. There will still be some casualties. Those are a necessary sacrifice for us, in order for me to become Hokage. Any interpretation is welcome! Good ennounciation is a must! 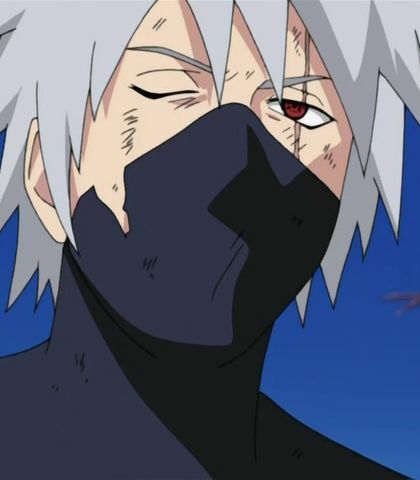 Kakashi suffers from the concequences of his actions. 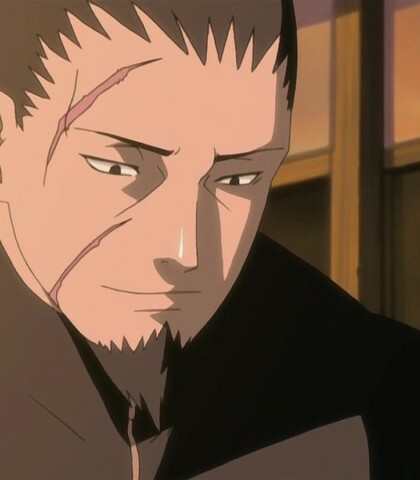 Racked with guilt, he abandons Konoha and his beloved students. The beast that was sealed away now dwells within Naruto Uzumaki. He was brought into the world and made into a monster. Write this down in those cards of yours! Us three from the sound village are gonna become chunin! [angry] How the hell are you still going?! Get off of me already! [proud, cocky ] Heh, I'm the one that did that to her! Whatcha gonna do about it?! A medium to medium high voice. Fluxuates highly with emotion. Should be able to become LOUD. 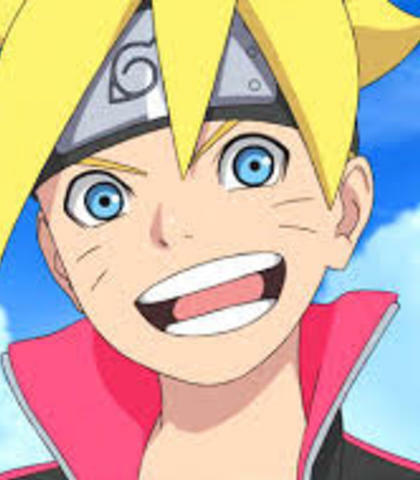 The future son of Naruto Uzumaki and Hinata Hyuga. [confident] I wanna know all about my dad's weaknesses! [distraught, humiliated, angry] 'You'll talk to me later?' [Mocking, while on the brink of tears] Do you even have time for that, Dad?! [highly emotional, still on the brink of tears] If my you had told me before all this ...I...I...I wouldn't ever end up in a situation like this! We wouldn't have gotten this far, but you never have time for me! How do you expect me to know anything when you won't even talk to me?! [dismissive] Hokage? What a joke...only fools would want that job! A medium to medium high type of voice. Highly emotional at points, and so someone who is able to convey intense emotions is needed. LOUDNESS is a must but the character isnt loud all the time. 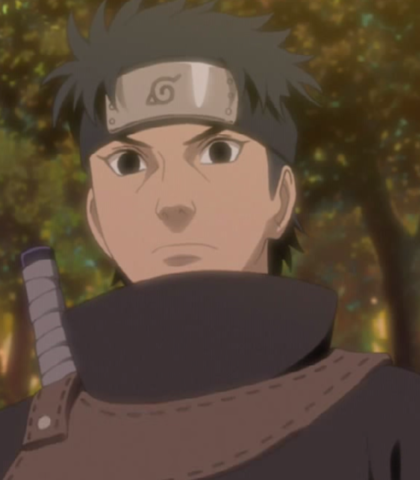 [slightly offended, confused] I wouldn't know anything about being 'one of the Uchihas'. Everyone keeps saying I'm a prodigy but...what does that even mean to someone like me? [Shock/furious/as calmly as possible while holding back] What...happened...? [highly emotional/ loud] You haven't been around at all! Why won't you stay and live with mom?! You don't even care that you forgot about your daughter's face! 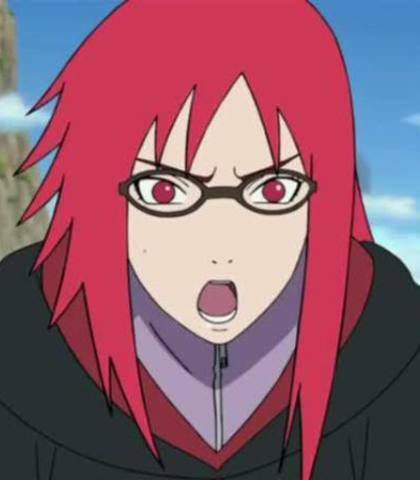 [becoming more distraught] And who's this woman in this picture wearing the exact same glasses as me?! Do you think a daughter could ever possibly ask her mother that type of question?! She...She won't tell me anything about you! What hope do I have to get something significant about her when she wouldn't even tell me if you had glasses or not! It's all a bit secret...that I'll understand one day or SOMETHING or...or... [trying to remain calm again] honestly, I cant trust either one of you. [slowly reaching the verge of tears] This is all...a big mess. I just...I just need to know... What have you been doing all this time...? 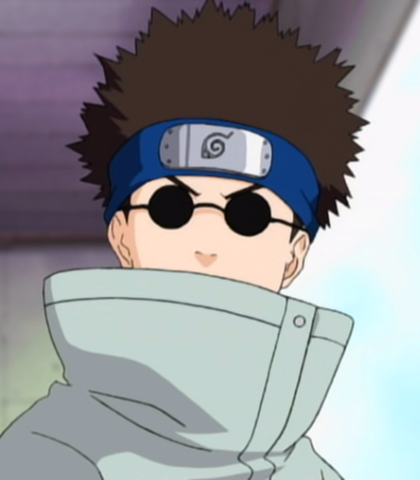 [decisive] Well, it's not like I could deliver lunches to everyone in the village so...instead...I've decided to become hokage! Practical and calculating. Medium to medium low voice. 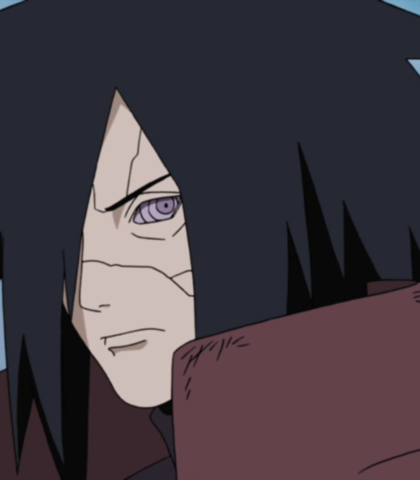 My brother was too soft… and Madara too dangerous…. My role as Second Hokage was to mediate between them while protecting and reinforcing the village. 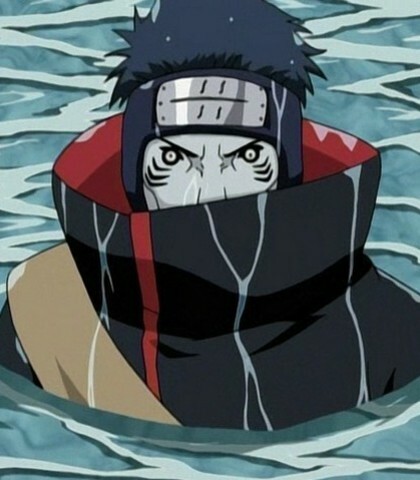 They ask me why, a water style user...cannot control my temper. It is because my water is boiled by the will of fire! It's the fourth that is copying me...also you should address me as second with respect! Sorry kid, but if Sasuke doesn't arrive in ten minutes, I'm gonna move on. When captured birds grow wiser, they try to open the cage with their beaks. They don't give up, because they want to fly again. Trust me. 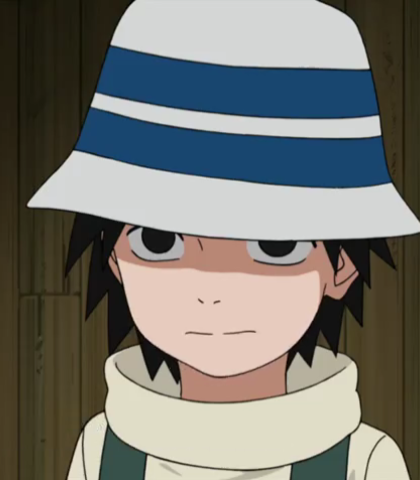 You're pawns of Orochimaru and you don't want to mess with Konoha shinobi. 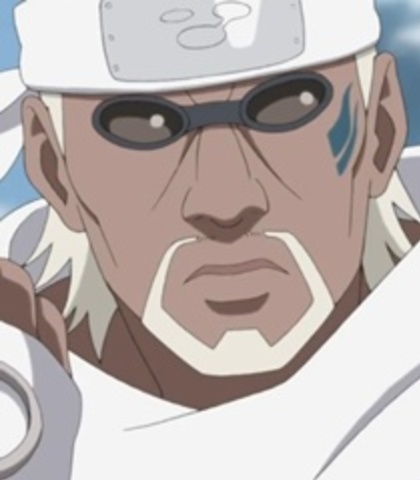 Overconfident, cocky, and disrespectful for the most part, Suigetsu only travels with the intention of collecting a particular set of legendary weapons. To those ends, he doesnt care who his company is. [cocky, casual] You really do talk like you're in charge… Let's make our relationship extremely clear, okay? 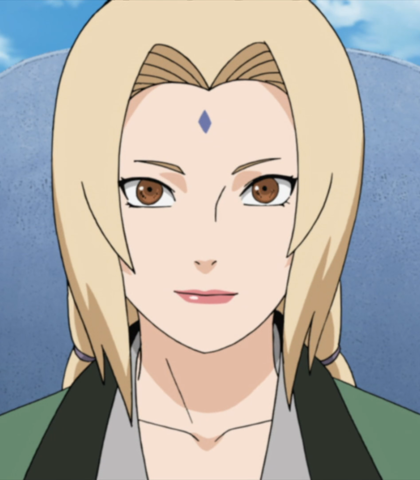 Just because you defeated Orochimaru, doesn't put you in charge here… Everyone was after him, someone would have taken him out sooner or later… Orochimaru liked you, otherwise you'd be locked up, not by his side. You simply had more chances to kill him than the rest of us. In this situation...I've got the upper hand. 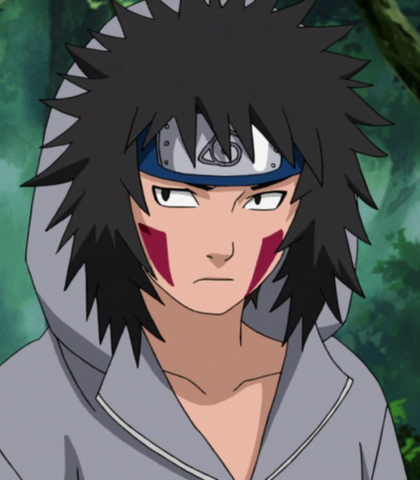 [impressed] I'm amazed it's somewhere like this… [to himself] Zabuza, this is mine now. [struggling in speech, as though lifting something] It's heavy… [huffs, proud] the great beheading sword of the the demon Zabuza of Kirigakure! [casual] Haha... Never would've guessed a bunch of stupid animals could sense chakra... [slightly annoyed, still casual] Then again, "stupid animal" describes Karin pretty well, so I guess it makes sense. Apathetic or slacker tone. Medium range. Oh man... those clouds are so lucky. So free. I didn't even feel like doing this in the first place. And I only became a ninja because I thought life would've been more interesting as one... I suppose things aren't gonna be that simple. It's not because I'm lazy, it's just because I don't care. We're not stupid enough to go out there planning to die. Cocky. Medium to medium low voice, raspy. [To himself] What a sucker. He doesn't know I can re-establish control over my puppet within a blink of an eye. It's what makes me an expert puppet master. And so what if Crow's body is out of commission? I don't need his body. Every part of him is a lethal weapon. [Overconfident, sligtly mocking] Looks like you underestimated me, bug boy. For the last time! There's enough poison on that to drop an elephant, so you're dead. [annoyed, angry]This brat...I'm going to kill him. [mocking] Look at you! You can't even stand up again after I push you down! 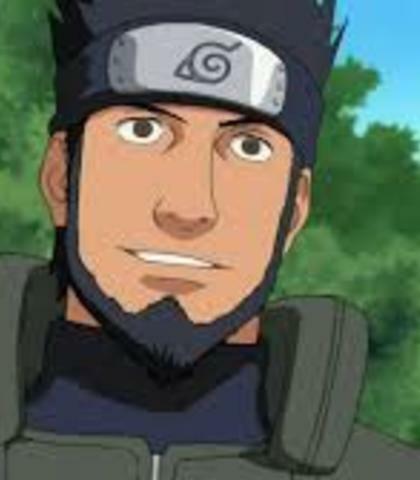 You don't deserve to become Chunin! [cocky] Well, well, look at you. Smart of you to see through my trap, but can you see through this?! Lord Hokage, the preperations are ready. Medium to medium high range. 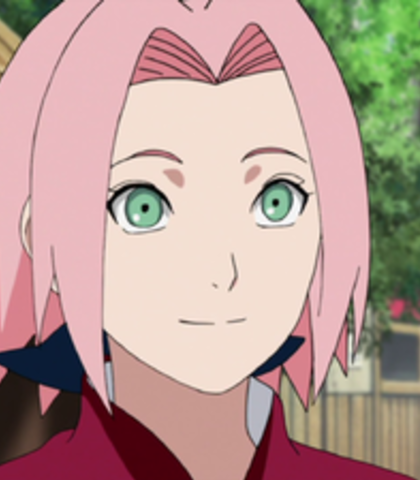 [thinking] Okay, so we can't count on Naruto to pass, but if Sasuke and I both score a seven, we'll be in the clear. 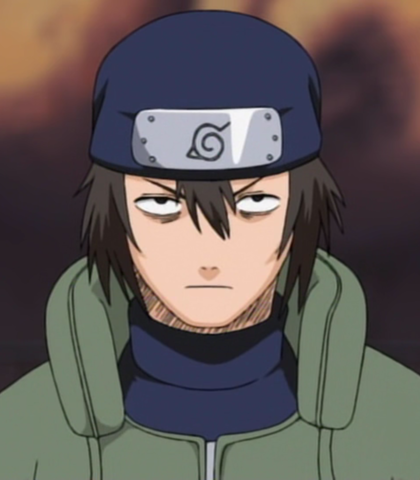 [determined] I've always considered myself to be a true ninja...but those were just empty words, because Sasuke and Naruto were always in the lead! But now it's my turn to take the lead, and all of you can watch me from the background! Didn't you know? Women have to be strong in order to survive! Very low, suave, and commanding voice. Must be able to scream and otherwise get loud when needed. [impatient] I grow bored of this all. When will I actually fight someone that's actually a challenge?! 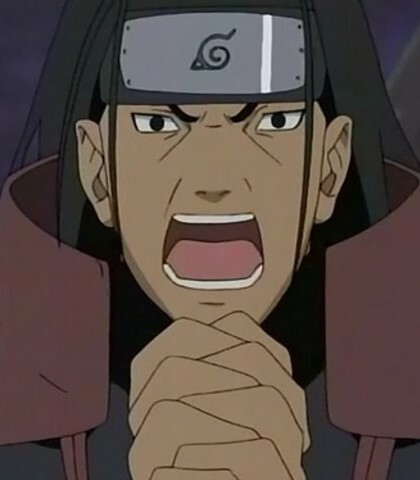 [Maniacal laughter, loudly proclaiming] HASHIRAMA! I'VE BEEN WAITING FOR YOU! The Hyuuga clan is the strongest clan in Konoha. Remember that. Hinata is my precious daughter, and you are a precious memento of my late brother. [Screaming] This isnt about the branch house protecting the main house! This is about two comrades protecting each other as equals! Medium high to medium voice. Although she is not a no nonsense woman, she tries to be. Tough and controlling, yet comedically flirtateous and jealous, Karin's motivations are unclear to many who meet her, but soon become blatantly obvious. [excited] Yes! I finally have him all to myself! [holding back emotion, upset] You're the enemy… I don't want to sympathise with you… so… so don't… don't cry like that in front of me...damn it! 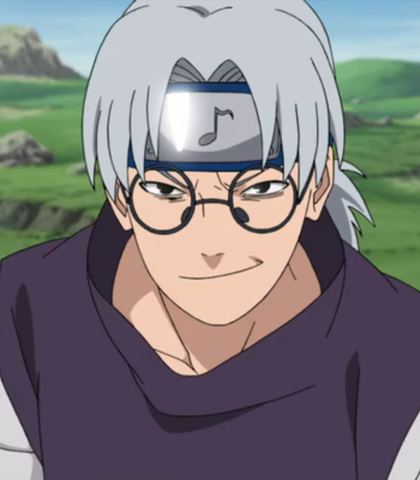 [seductively] If you really want me to Sasuke… I will follow you. Low, soft but menacing voice. Seemingly respectul. [while attacking] What do you think is faster, your sand or my sound? I suppose I can't kill you, can I? After all, you die, I die. Your courage is impressive, little boy… Very well, as a reward for making it this far, I will loan you my chakra! You don't have what it takes to control my power! You're nothing more than a mere fragment of my hatred! Are you stupid!? 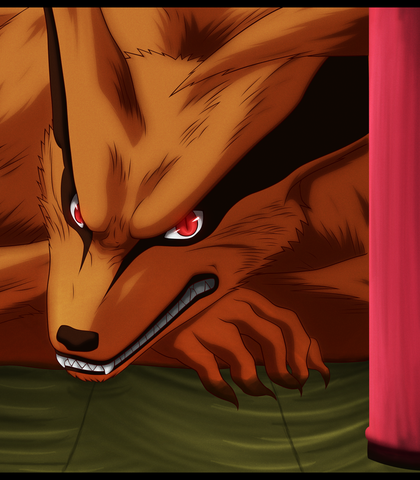 I am the Nine-Tails! I haven't fallen so far that a little child can influence me! I'm a living mass of malevolence! Medium low to low range. 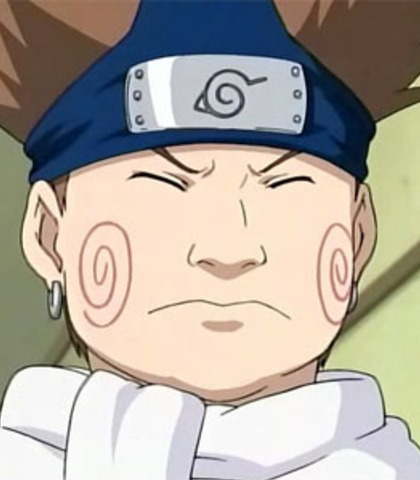 Shikamaru can think ten steps ahead and consider 200 possible moves in a second, but his real strength is his knack for chosing the best one. 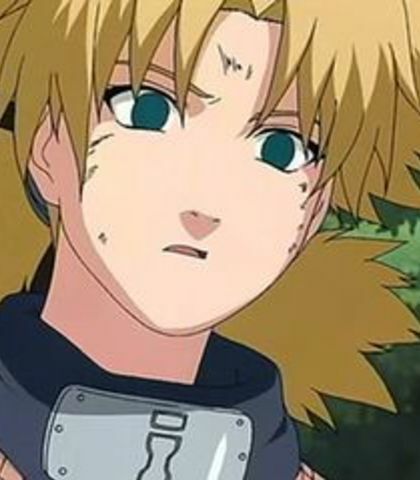 [regret] I'm sorry for leaving Konoha and doing all those things without much thought. 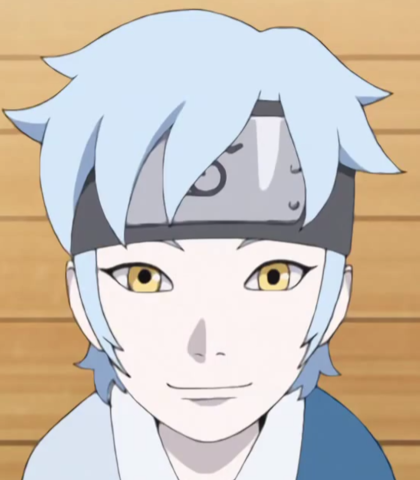 [serious] The kings are the unborn children that will one day grow up to take care of Konoha. Serious. Medium to medium low range. If you fight me, you won't be able to recover. Forfeit and withdraw. Even if it's been a while, you should remember your comrades faces. Why? Because otherwise you will hurt their feelings when they call out to you. I hate explaining the same thing twice. Medium to medium low voice. No one who can get past us should even be able to get into the exam room! [casually, mocking] Hey, the rules are rules, after all. If you can't get in, you can't participate. We're just helping weed out the helpless cases. Kotetsu, we should tell the others. No nonsense person. Very authoritative but supportive. Early on, is extremely carefree and casual, despite moments of seriousness. Medium low to low voice. [threateningly] I will die before I let you touch him! 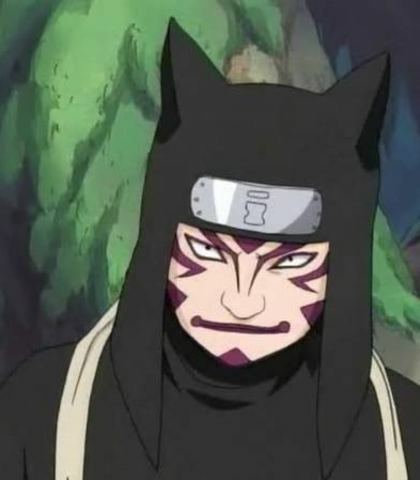 [mocking] One of the legendary sanin taking on a snot nosed genin...i oughta be ashamed of myself! Who knows if there's such a thing as justice in the shinobi world? We fight for our own justices, but if our enemy is doing the same, then who's right? You're my best friend friend, so don't try to stop me. I must do this. 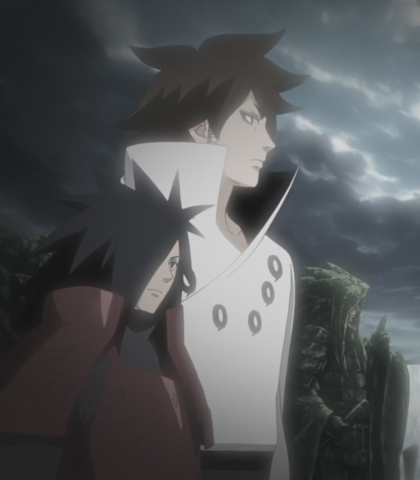 The Uchiha helped make this village, and so we have a duty to protect it with all we have. That is [emphasis] our purpose as ninja. Over-excited and enthusiastic about most everything. Has a peculiar way of speaking. Does not use word contractions like don't or I'll. [determined] My motto is to be stronger than yesterday, if I have to I will be stronger than half a day ago, even a minute ago! If you believe in your dreams, I will prove to you, that you can achieve your dreams just by working hard! [overflowing praise] Wise words, Guy sensei! So simple but filled with such profound meaning! Medium range. Gruff and enthusiastic. [determined] A wall's a wall and there's no wall I can't punch a hole through! Heh, I don't know what's going on, but I'm always up for getting wild. [mocking] You? Hokage? You can't even beat me! No-one's deluded enough to think that you have what it takes to become the next Hokage, not even you! Tell you what, though... I'll become Hokage in your place! Affable. Medium low to low voice. My massive sword Samehada doesnt just slice...it cuts you to ribbons! Hm, it would be annoying if he moved around too much. Can I cut off a leg or two? Oh, Kakashi of the Sharingan? I'ts an honor to meet you. EXTRAS ARE TO BE CAST 9/30th! This is for any extra roles we might end up needing: characters of the day, background people, announcers, and even some minor characters! Lots of voice acting opportunities here! Do whatever lines you'd like if you want. In fact, even demo reels are welcome. [Cocky] Bring it on, small fry! I'm just getting warmed up! [Shocked] N-No way...whats that thing coming from inside of her?! Is this a genjutsu?! 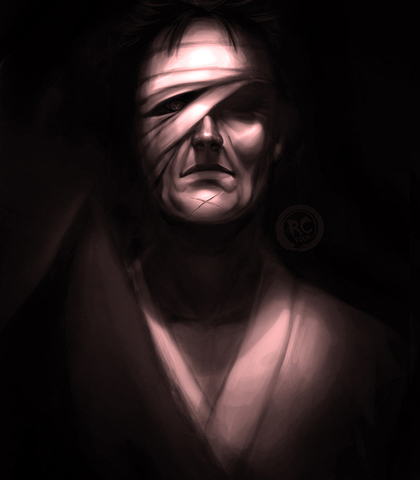 [solemnly] A fine ninja and a person worthy of his clan's name. May he find peace in his journey. Conieving and immoral but is fully proud of it. Very slimy, raspy, voice. Could also try a snake-like voice (without the constant hissing). Medium low to low. Either people change or they die before they do. It's one or the other. Darkness. When everything that you know and love is taken away from you so harshly. All you can think about is anger, hatred and even revenge. And no one can save you. [grateful] Naruto...thank you for letting me be your mother...and Minato for being your father...thank you...for being born to us! Naruto and Sasuke will be in the academy together, right? I hope they can become friendsa! [overly-strict] Now listen carefully...the three shinobi prohibitions must be strictly observed! 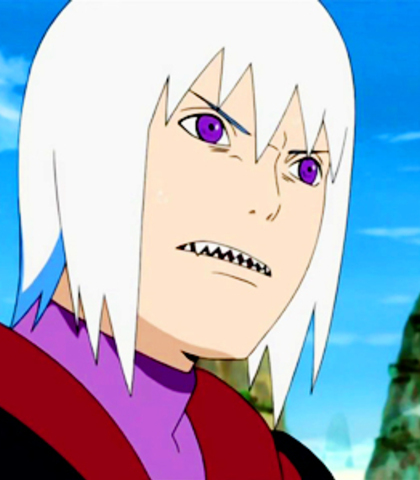 Master Jiraiya is too lax, you know, so don't dare you go around copying him, got that?! Loud and boisterous. Ocassionally lecherous but also capable of seriousness and playful behavior. 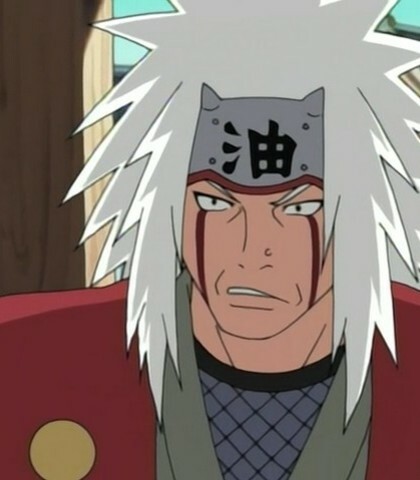 [flirting] Ladies, Jiraiya is no liah! 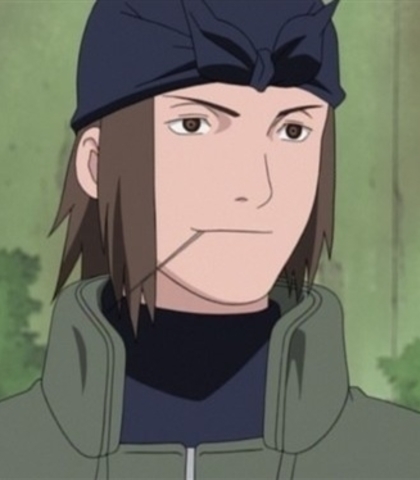 [serious] The true measure of a shinobi is not how he lives but how he dies. It’s not what they do in life but what they did before dying that proves their worth. [lecturing] Listen here, kiddo, I'm going to go into town for a while to continue my research. 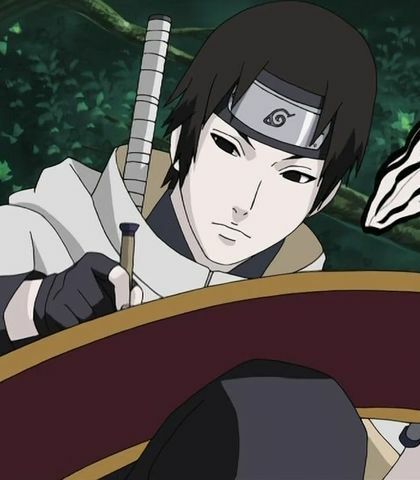 You just hang back here and keep practicing that jutsu 'til you get it right. And DONT come looking for me. Strong, outspoken, and very stern. 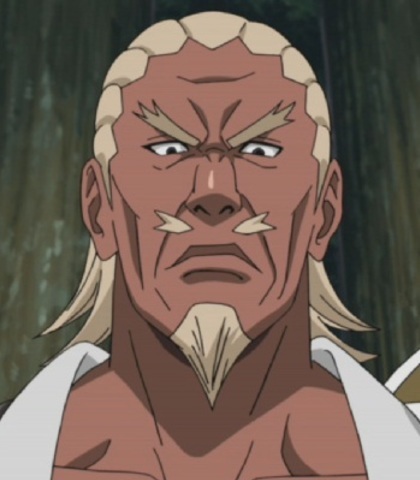 This is the Raikage, the Leader of the Village Hidden in the clouds. Shinobi ought not lower their heads so easily, action and power are what shinobi respect! There should be no compromise between shinobi. The history of the human race is a history of war! Ever since the three Shinobi World Wars… Every country… every village has fought for the strongest techniques. The weak will be crushed! That is inescapable truth of the ninja world! I have no regrets about my left arm, because I still have both of my right arms. This one, and you. Discretion is the better part of valour! You would do well to remember that! I don't need my strong hand, all it takes is my off hand. That's more than enough to defeat any man. Very menacing, low, commanding voice. [lecturing, serious] Because in times, information is more important than life...and on missions and on the battlefield, people risk their lives to get their hands on it. Important inormation in your hands...can be a powerful weapon or your comrades and the village. 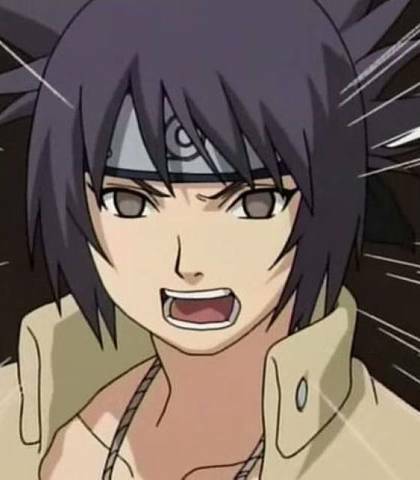 The abillity to be courageous and survive any hardship...these are the abillities needed to become a chunin captain. 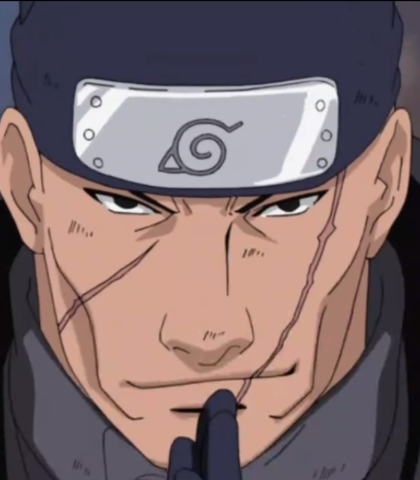 Those who cant put their destinies on the line...who cling to the uncertain future of "there's always next year" and walk away from their chance...those pieces of trash who can only make such cowardly choices do not deserve to become chunin! [dark, interrogating] Don't worry, it won't kill you...but it will hurt. A lot. I doubt you'll get comfortable any time soon, but you can end this all if you tell us what we want to know. This is a masked character that acts as an antihero in the plot. 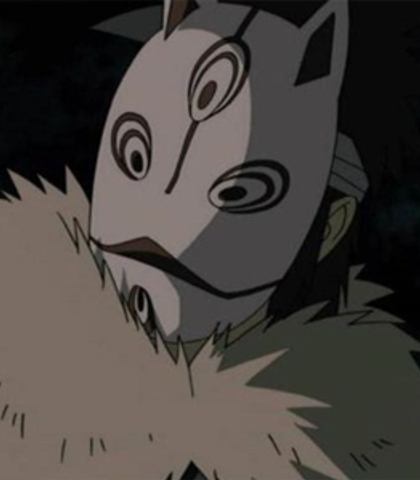 The person behind the mask (from the image) is not the person depicted, but rather a stand in (to keep from spoiling the character). Medium to Low, raspy voice. Should not be overly raspy. Gravely works as well. [Serious] For all that this world claims to be...for all that we do to shape our destiny, we are helpless to the circumstances outside our control. For this reason, I know that we're fated to fight. Until that day, I'll be watching you. [slightly amused] You know, I planned to leave you alive a little longer...you know, keep things fun. [irritated] However, you getting in my way is just starting to get annoying. [grave] Do you believe that you're the only one with a tragic story? That you were the only one to lose everything?! You whine about your loses and make claims that you'll take your revenge...but since we last met, you have not gotten any stronger. If you cannot even lay a scratch on this ghost of a man, you have no hope of ever defeating the ones from your past. Medium voice. Calm and generally polite. Is capable of emotions but rarely expresses them. 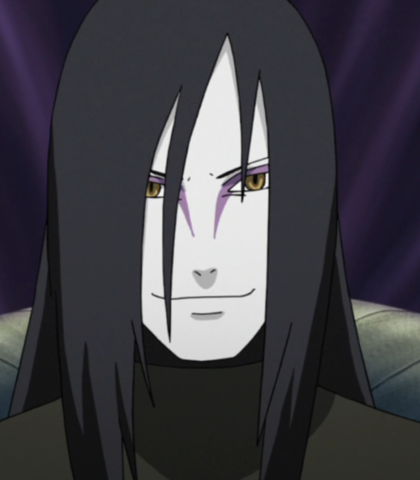 The future 'son' of Orochimaru. [cheerful] You must be one of the Akimichi family, I presume? Every without seeing your family crest, one look at you and anyone would know that...so you don't need to worry about your lineage! That's called tragic herione syndrome...a condition that unconciously occurs in girls of a certain age when they're attempting to define who they are. Well...not that it really matters to me. [deterimined, emotional] You adults can't tell me what to do. All you've done is deceived me from the start! I'll decide what I want to do for myself! Charismatic and charming while also dangerous. This character is supposed to have experience and so their calm note denotes how powerful and confident they are in their skills. Your death will not only ensure me strength, but also that my desires for a bright future will become a reality. If you continue to get in my way, I cannot guarantee your safety. Ninja is a word as meaningless as the lives of the people that carry that title. The only thing you can count on is power...and if you have that, you can call yourself whatever you damn well please. [excited] Amazing... The brilliance of the blade... the design. They're all beautiful! I want to take them all home! You're not getting off that easy. No way! The people you and Raiga killed, they all wanted to live but you didn't leave them that choice! You decided for them! Well you don't get to decide this time, ok?! You're gonna live and you're going to take some responsibility for all those people's lives you cut short! Curt, cocky, but commanding. Medium to Medium high range. Why do you fight your destiny? I owe you a great deal. A very loud and very proud woman. A very drill sergeant demeanor but still easily amused and enterntained, particularly by messing with student's heads. Medium to low voice. [cocky announcement] Heads up, boys and girls, this is no time to be celebrating! 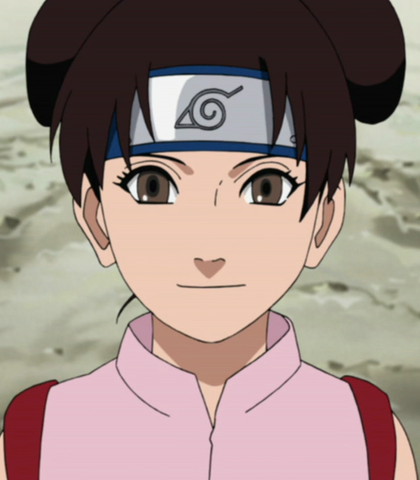 I'll be your next proctor, Anko Matrashi! You ready for the second test?! Good! Then let's go, follow me! [demeaning] Tough guys like you usually leave their blood all over this forest. [concerned, serious] I don't care what the heck he is! If he stays, he's a danger to everyone! Don't you see?! That thing is feeding off his chakra! It's a forbidden technique that devours the one who bears it! It's incredible that kid's still standing. By now, he...should be dead. Meidum to medium low voice. 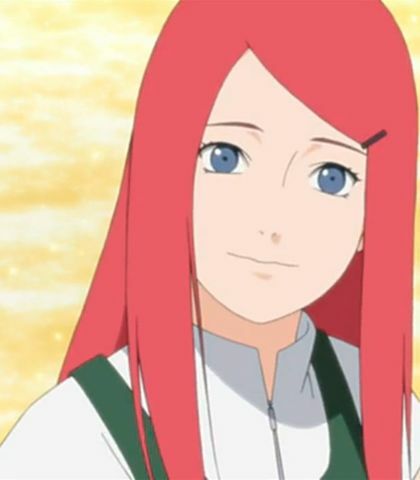 [concern] I will be watching over Hinata from now on… but are you sure it's all right? 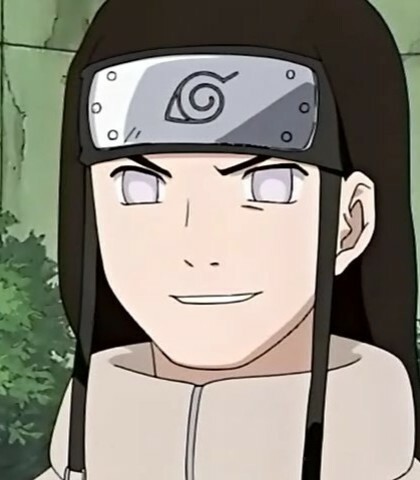 Hinata is a member of the Hyūga main family. Working as a genin will cause her to be surrounded by death. You lost your shogi partner...you were Asuma's favorite. You must miss him too. Cocky, overconfident, and nearly everything he says is in form of a rap. Despite his very eccentric behavior, the vessel to the 8 tailed demon is no pushover. This role requires someone to give a rhythm to the dialouge given to them. Good rap flow is prefered. Medium low to low voice. I'm the only one who gets to interrupt me! 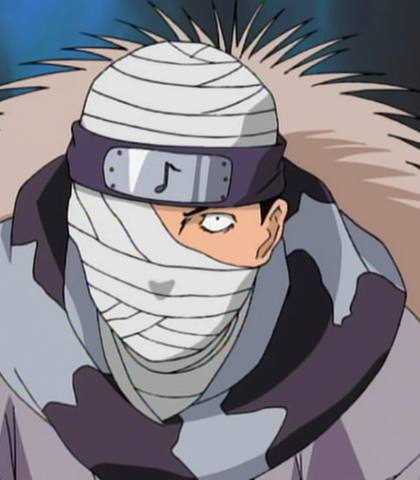 [in form of a rap] Brother, I'm a big idiot as you said too, and Naruto is as well, right dude? But the ones who accomplish things are the big idiots that don't care about how thick and strong the wall is, yahoo. [mocking] Little kids think life is so easy. That's why they go on and on about their dreams. That's why they never give up. [Laughs cruely] You can't beat me. You have no skills, unlike Sasuke. Medium to medium low range. 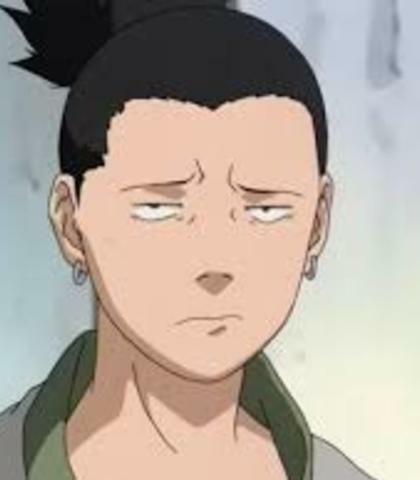 And what do you think about Naruto, Shikamaru? What other people believe is irelevant. Make your own assumptions. low, raspy voice. Somewhat ill and coughs occasionally in many of his lines. The next match...is Naruto Uzumaki versus Kiba Inuzuka. Begin. Loud and prideful. Low voice. The fellow countrymen of Konoha make up each part of my body...those of the village believe in me, and I believe in them... THat's what it means to be Hokage! [angry] I'll deal with you later! 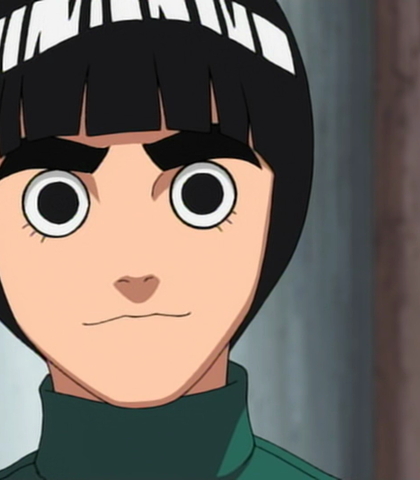 No matter what happens...I will protect our...no...MY village! Anyone who tries to harm it, whether they are my friends, siblings or my own children...I will not forgive them! [Angry] You can't do this! We've been at the center of the village since it's inception! [firm] I will say one thing: From now on, you will walk your own path and not in the steps of your brother. [sternly] Do not fear, for this is the path you have chosen. Compared to you, our pain will be over in an instant. Even if our philosophies differ, I am proud of you. You are truly a gentle child.